Explore the world of ancient creatures that once roamed the Earth at one of the many programs taking place across the country for National Fossil Day on October 14, 2015. The National Park Service and partners across the country will host events and programs throughout the week that promote public awareness and stewardship of fossils. Texas' newest site in the National Park System is all about fossils. Saturday, October 17 will feature family fun with games, food, contests, and tours. 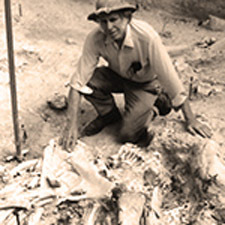 Excavation began on the Waco, Texas site in 1978 after a large bone was discovered by two men searching for snakes and arrowheads. As it turned out this was one of the richest Ice Age fossil beds in the world, a paleontological site representing the nation’s only recorded discovery of a nursery herd of Columbian mammoths. many prehistoric bones at Waco. In the following decades researchers have found 23 mammoths, a tooth from a saber-toothed cat, and numerous other fossils. Visitors can view "in situ" fossils including female mammoths, a bull mammoth, and a camel that lived approximately 67,000 years ago. The site was opened to the public in December 2009, and more than 21,000 guests visit annually. Today a state-of-the-art, climate-controlled dig shelter permanently protects remains there, and visitation is expected to increase now that the site is a national monument. Fossils discovered on the nation's public lands, including more than 250 national parks, preserve prehistoric life from all major eras of Earth's history and include samples from every major group of animal or plant. Visitors have the opportunity to see fossilized remains in the same places where those animals and plants lived millions of years ago. “Fossils not only offer clues to the history of life, past climates, and ancient landscapes, but also spark our curiosity and discovery,” said National Park Service Director Jonathan B. Jarvis. 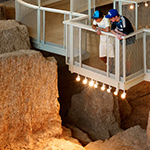 Visitors view protected fossils at Waco Mammoth National Monument. National Fossil Day was started in 2010 by the National Park Service and the American Geological Institute. This year, more than 300 partners, including museums, federal and state agencies, fossil sites, science and education organizations, and national parks will sponsor special events. 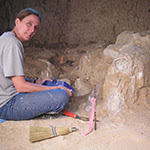 Photos from Waco Mammoth National Monument site.